to RSVP, please scroll to the bottom of the page. Do you want to open your heart, build caring relationships and regain peace of mind? Do you need to rebalance, unclutter or develop the focus to re-evaluate or attain your goals? Are you dreaming about or working on cultivating caring community and a healthy society? If you answered yes to any of these questions the Experts Forum is for you! Come and join us on December 8, 2013! Enjoy yourself and learn from area experts how you can live a healthy life, over come your current challenges and explore different components of healthy community and society. Following traditional custom, Andy will begin our first session. Andy will honour our gatherings by blessing the Launch of Healthy Living Experts Forum on behalf of K'omoks First Nations. Mikeoula is a gifted, self-taught musician and sacred sound practitioner who has been working with music and sound for over thirty years. In partnership with crystal singing bowls, she blends their pure healing tones with inspired, channeled instrumentals and vocals to help us remember our connection with Source. Whether playing for an audience, leading a workshop, or doing a private session, Mikeoula reaches into the divine and brings forth music to heal and soothe our souls. 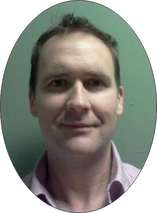 Don is a Registered Psychiatric Nurse, with over twenty years practice working with men and women recovering from trauma, depression, and addictions, in the Okanagan, Vancouver, and on the Island. Over the past 30 years he has studied and practiced body centered, meditative and mindfulness paradigms, in groups and with individuals. 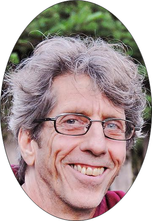 Currently he is teaching Psoma Yoga and Loving Presence classes in the Comox Valley as developed by Ron Kurtz. An Ayurvedic Approach to treating the body holistically using massage, herbs and hydrotherapy. 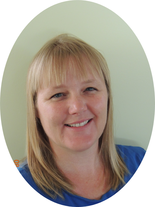 Katie White is a registered massage therapist, healing touch practitioner, chartered herbalist, horticulturist and yoga teacher. 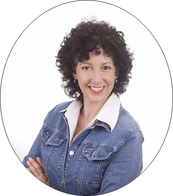 Her passion for learning and traveling has developed her varied experience & education in the healing arts over the last 15 years. Dispensary. He is a passionate promoter of plant-based medicine and nutrition. Yarrow is continually updating his knowledge and understanding with the newest approaches and growing edge science of re-claiming our health and restoring internal/external harmony. His path and purpose is in cultivating a shared connection with the natural world, through a seasonally balanced holistic approach to life. 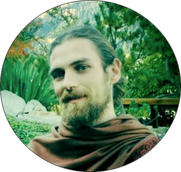 With hopes in assisting our collective evolution towards high vitality, he shares health empowering practices with herbs, mushrooms, super-foods, advanced nutrition and more. 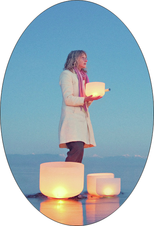 Owner and Lead Trainer of Heart Drum Beat - Taoist Yoga & Healing Services in Courtenay. 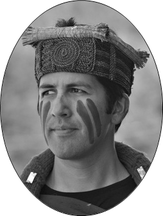 Arrow is a certified Trainer in the Tao Healing Arts who specializes in Taoist Brain Based development programs. Arrow has 9 years experience in Instruction and Workshop Facilitation as well as Instructor Training and Traditional Healer Training. The Healthy Living Experts Forum is designed to meet each Individuals need for healing or personal growth where they place most importance. We believe health and wellness begins with the Individual, then the family unit, community and society.